Deep-discount deals are still to be had on the Nissan Armada, as over this past year it appears that supply still hasn't ratcheted down to meet demand. Rugged good looks and a strong powertrain make the 2011 Nissan Armada desirable, but compared to other large SUVs its lacking in most other respects. An imposing stance and rugged, macho styling cues separate the 2011 Nissan Armada from the rest of the full-size SUV crowd, but the Armada fails to stand out for interior space, comfort, or practicality. The 5.6-liter V-8 engine in the Armada makes 317 horsepower and 385 pound-feet of torque, and it starts with the rumble of a muscle car. Its torque-monster character works well with the five-speed automatic transmission, allowing smooth, quick takeoffs, even with a full load, as well as impressive passing ability (thanks to quick, responsive downshifting), while it can tow up to 9,100 pounds. The Armada, by some gauges, can get to 60 mph in less than seven seconds—good for such a large vehicle. But while brakes are good, steering, handling, and maneuverability are sore spots for this mammoth truck; try to make any quick change in direction, and you're woefully aware of this vehicle's tremendous heft. 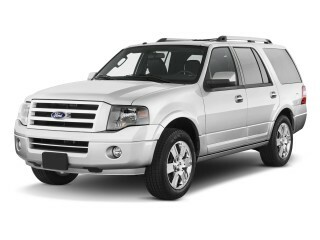 What you see from the outside is essentially what you get inside the 2011 Nissan Armada. This big ute has seats that are a little hard to get up into, but once you're there, if it's in the first two rows, it's comfortable. And if you're wondering how there's a third row with space for cargo, it comes down to either passengers or cargo back there, really, and the load floor is awkwardly high. The seating position of the Armada is pleasant and upright in the first and second rows, with the front seats especially quite comfortable and supportive—and it's easy to find a good position with the available adjustable pedals. Second-row captain's chairs are also very comfortable but reduce capacity from eight to seven, replacing the bench seat. In back, the third-row bench is just passable for smaller adults, but it leaves almost no cargo space and headroom is tighter back there. Refinement isn't so top-notch, and its an area where the Armada is showing its age. Nissan has moved to dress up the Armada's interior in recent years, but overall, there are too many dull plastics in this interior, and trims still look on the cheap side. 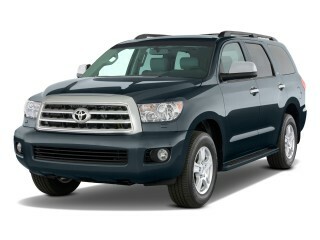 Ride quality in the Armada is firm but smooth, soaking up most major bumps, but it isn't the most refined experience. In multiple test vehicles over the years our editors have noted a fair amount of wind noise, and engine noise in these vehicles is cranked up to an almost ever-present level. While the V-8 sounds good, it can get wear on you on long mountain passes, or when towing. Nomenclature changes just a bit for 2011. Just as Nissan has done this year with most of its lineup, it's added a new mid-level SV model to replace the previous SE trim, and a new Armada SL replaces the Titanium level—leaving three trims, SV, SL, and Platinum, each offered with rear-wheel drive or four-wheel drive. Unlike the full-size SUVs from GM and Ford, the Armada has a pretty simple lineup and a limited list of options. At the top of the line, the Platinum gets heated front seats, a heated steering wheel, a moonroos, power rear liftgate, DVD entertainment, and a nav system with real-time traffic capability and hard-drive space for music storage. Even though it's now the oldest design among full-size utility vehicles, the Nissan Armada looks very butch and better-looking than most. Almost nothing about the design of the 2011 Nissan Armada is subtle. It looks macho and imposing from nearly all angles on the outside, and the flared wheel wells are still among the largest and most exaggerated among full-size trucks. The roofline, with a slight upward curve to the point that it meets a wider pillar at the rear door (with the rear-door latch up high) is, besides creating a stylish silhouette, a nod to the former Pathfinder, and the very upright profile front and back projects a serious impression. The 2011 Nissan Armada boasts excellent powertrain performance, but its handling feels clumsier and less responsive than most in this class. The 5.6-liter V-8 engine in the Armada makes 317 horsepower and 385 pound-feet of torque, and it starts with the rumble of a muscle car. Its torque-monster character works well with the five-speed automatic transmission, allowing smooth, quick takeoffs, even with a full load, as well as impressive passing ability (thanks to quick, responsive downshifting), while it can tow up to 9,100 pounds. The Armada, by some gauges, can get to 60 mph in less than seven seconds—good for such a large vehicle. The more very conventional, carlike steering wheel and shifter position hint that the driving experience is going to be more carlike; but it isn't. While brakes are good, steering, handling, and maneuverability are sore spots for this mammoth truck; try to make any quick change in direction, and you're woefully aware of this vehicle's tremendous heft. The tall body and tall-sidewall tires don't help either, leading to a somewhat detached feel when making abrupt lane changes and the like. The first two of the Nissan Armada's three rows of seating are very comfortable, though it lacks the refinement and top-notch materials of top rivals. 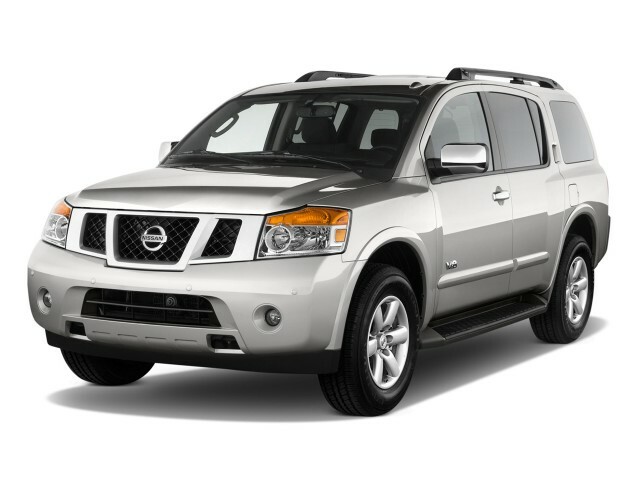 What you see from the outside is essentially what you get inside the 2011 Nissan Armada. This big ute has seats that are a little hard to get up into, but once you're there, if it's in the first two rows, it's comfortable. And if you're wondering how there's a third row with space for cargo, you're not alone—yep, it's basically one or the other. Nissan has moved to dress up the Armada's interior in recent years, but overall, there are too many dull plastics in this interior, and trims still look on the cheap side. 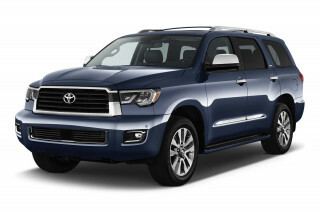 Ride quality in the Armada is firm but smooth, soaking up most major bumps, but it isn't the most refined experience. In multiple test vehicles over the years our editors have noted a fair amount of wind noise, and engine noise in these vehicles is cranked up to an almost ever-present level. While the V-8 sounds good, it can get wear on you on long mountain passes, or when towing. The 2011 Nissan Armada has a strong feature set, but there's not a lot to go on to assure it offers strong occupant protection. The 2011 Nissan Armada isn't especially impressive with regard to safety. But in all fairness, it hasn't been tested to the degree some of its rivals have. Front side and full-length side curtain airbags, covering both rows, are standard, as are electronic stability control and anti-lock brakes with electronic brake-force distribution. 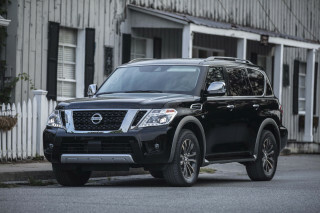 The Nissan Armada hasn't been tested by the Insurance Institute for Highway Safety (IIHS), and the federal government hasn't yet tested it either under the completely revamped testing and ratings system introduced for 2011. Under the former federal tests, the Armada received a mix of four- and five-star results for frontal impact, but it wasn't tested for side impact. 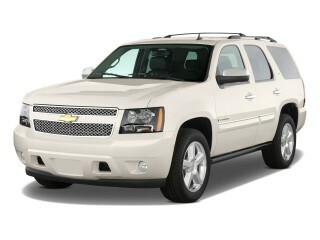 Its federal rollover score remains just three stars—typical for a tall SUV design. While there's a pretty good view out when driving, thanks to the high vantage point and ample window space, headrests and the vehicle's excessive height can get in the way of visibility when parking. Rear parking sensors are included, though a camera system is optional. The 2011 Nissan Armada has a strong set of standard features, but with simplified builds it doesn't allow the vast combinations of options and equipment that you can find from Chevy or Ford. Unlike the full-size SUVs from GM and Ford, the Armada has a pretty simple lineup and a limited list of options. Automatic dual-zone air conditioning, a 60/40 split fold-flat third-row seat, keyless entry, rear parking sensors, and the ability to play MP3-formatted CDs are all standard features on the Armada SV, and over the previous SE it adds an overhead console, power-adjustable pedals, and other extras. SL models add Bluetooth hands-free, a Bose premium audio system, a rear-view monitor, leather upholstery, an auto-leveling rear suspension, and a power-folding third-row seat. And at the top of the line, the Platinum gets heated front seats, a heated steering wheel, a moonroos, power rear liftgate, DVD entertainment, and a nav system with real-time traffic capability and hard-drive space for music storage. 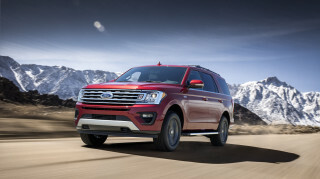 Second-row captain's chairs are a standalone option; otherwise, a tow package will be a must-have for some as it taps into the full 9,100-pound capacity and brings a brake controller and 7-pin harness. Armada's 12 mpg city rating is about the lowest it gets in this class, or in the market, for a standard engine. Among normal vehicles—and we're not counting exotic supercars here, or ultraluxury cars—the Nissan Armada 4WD's fuel economy numbers of just 12 mpg city, 18 highway are about the lowest it gets in today's market. In today's green-conscious market, what if your neighbors found out?